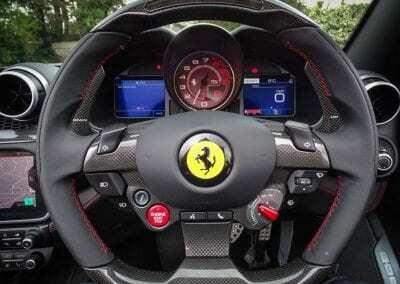 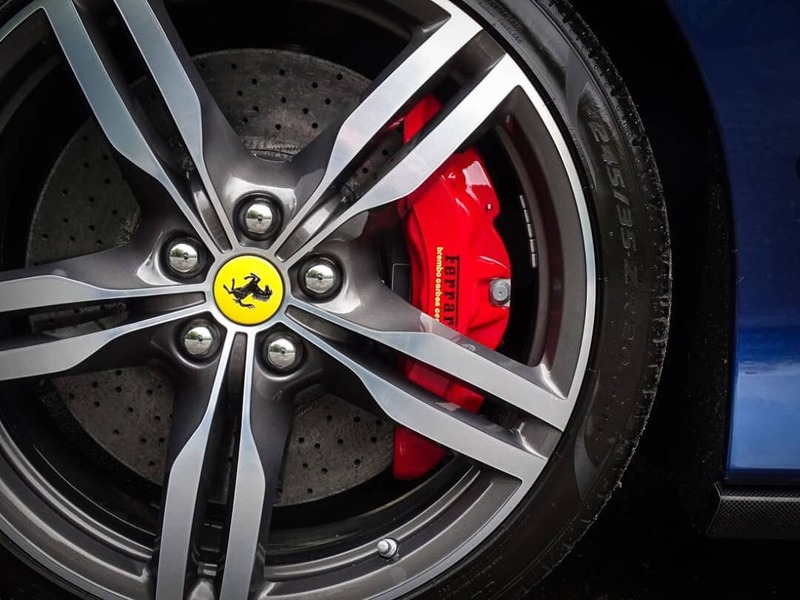 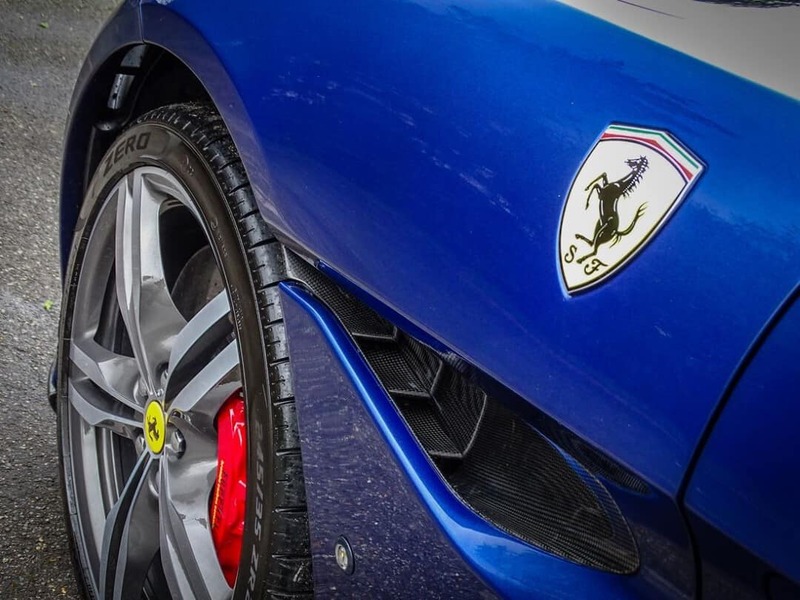 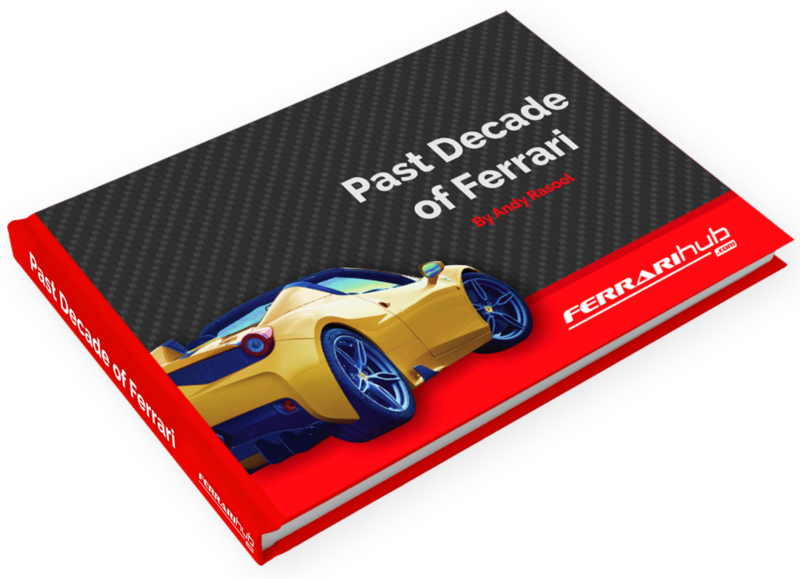 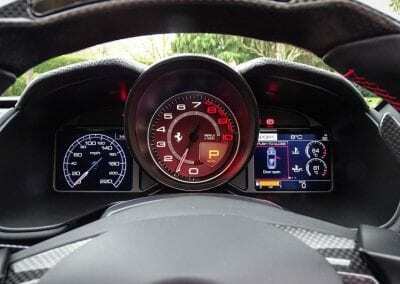 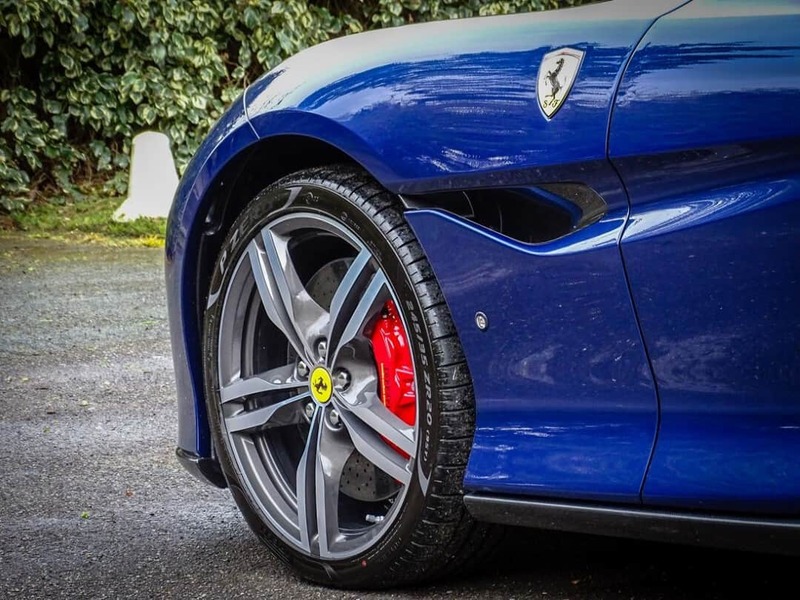 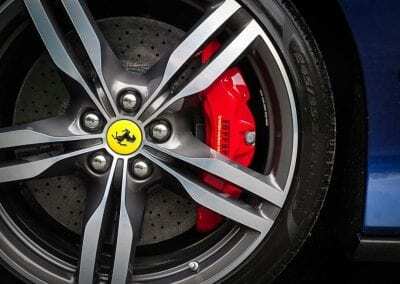 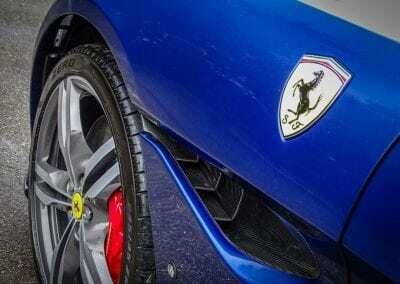 Anyone currently thinking about dipping their toes into the Ferrari waters should consider themselves very lucky. 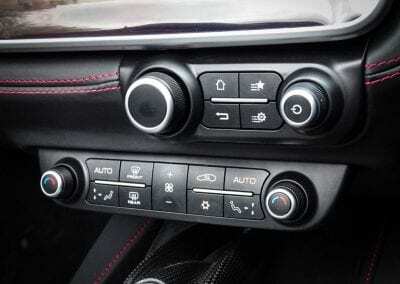 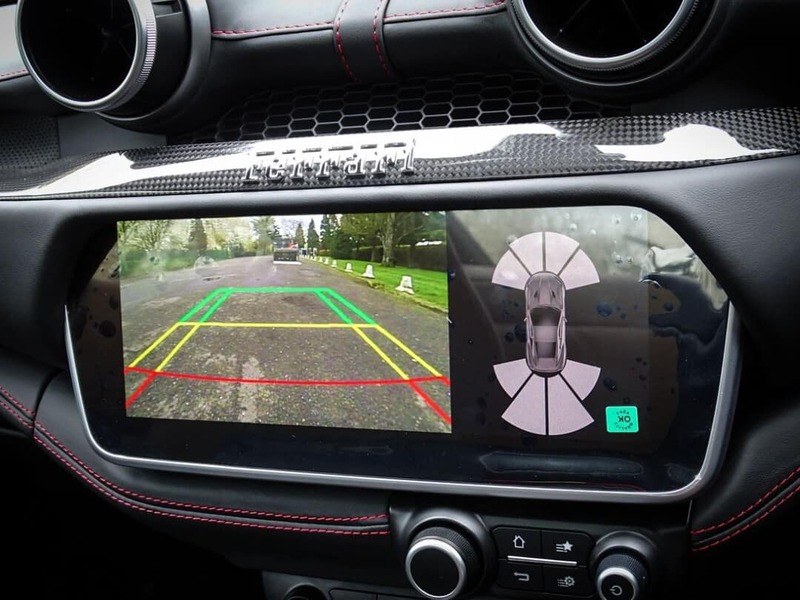 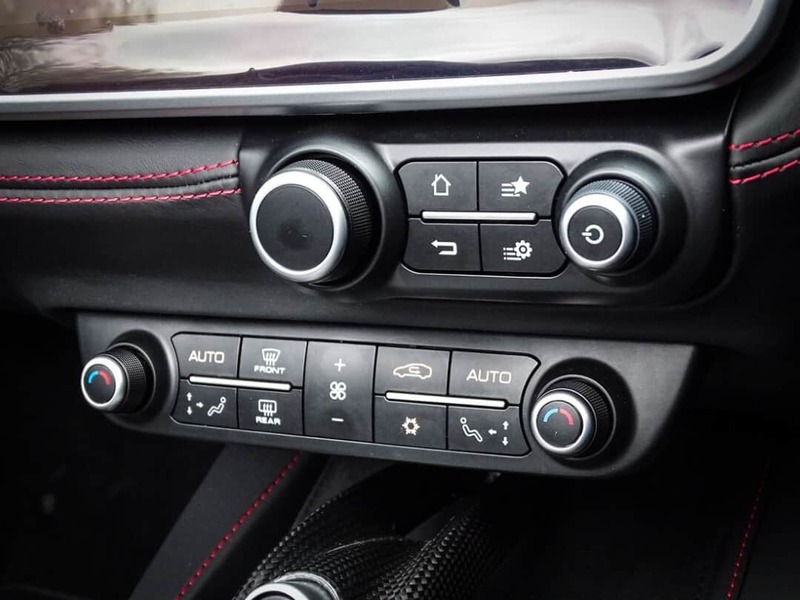 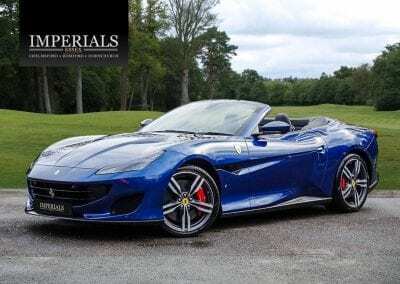 Just check out today’s drool car: a 2019 Ferrari Portofino. 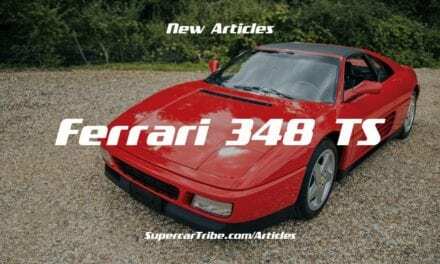 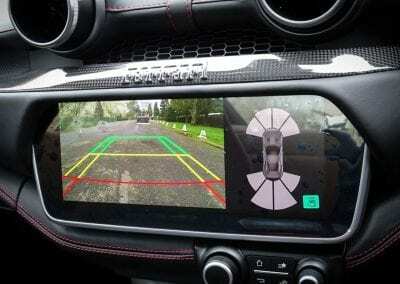 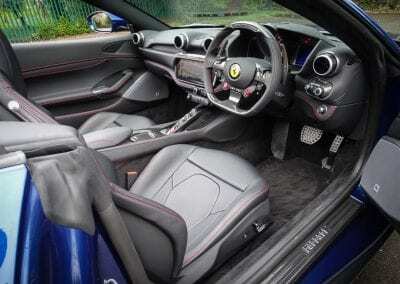 Billed as the entry-level Ferrari, the new-for-2018 model is undoubtedly the best “beginner” Ferrari ever made. 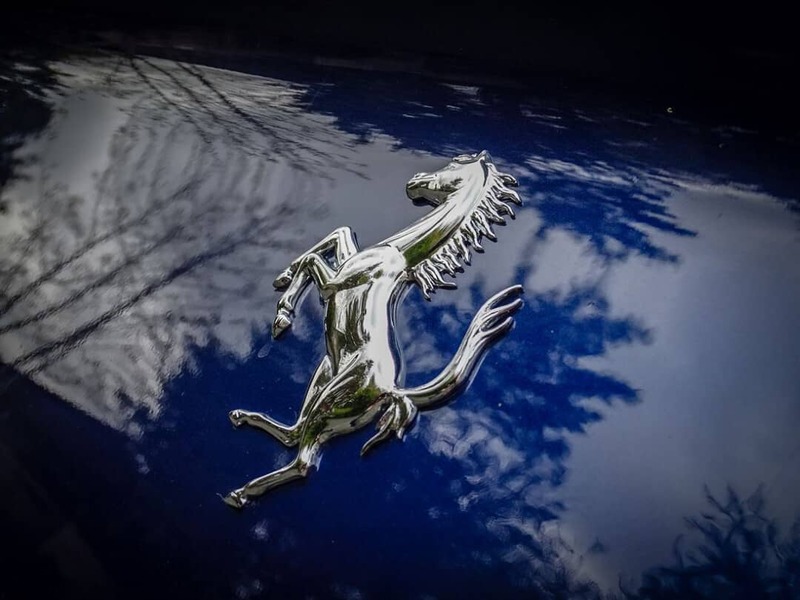 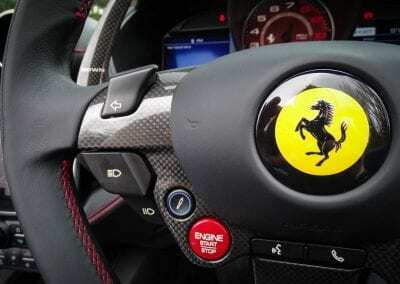 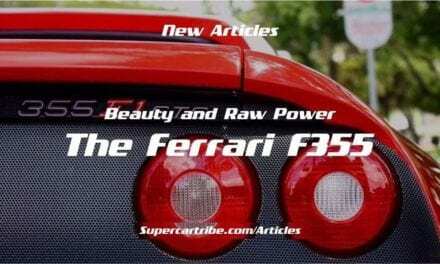 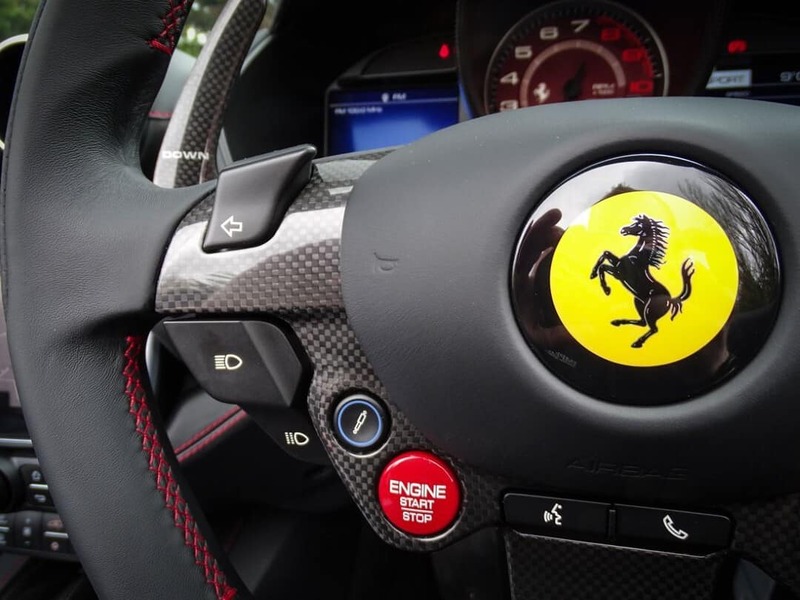 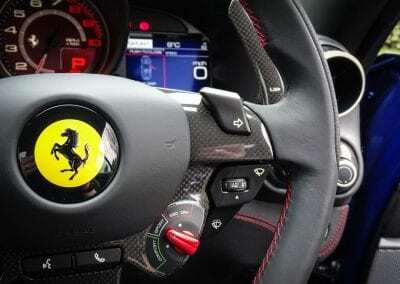 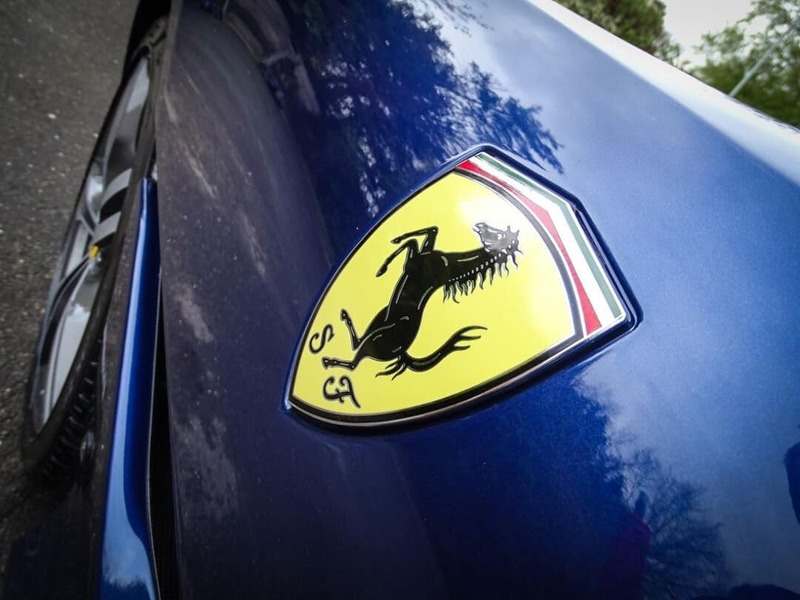 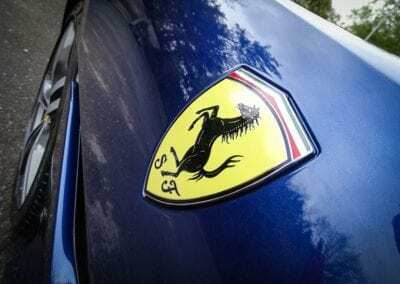 There are hardly any concessions to be made to performance or comfort compared to any other Ferrari model. 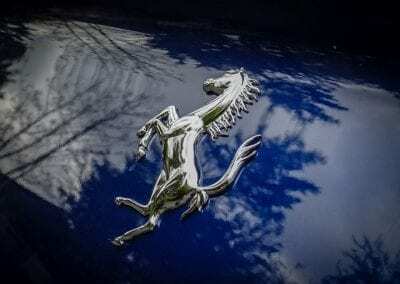 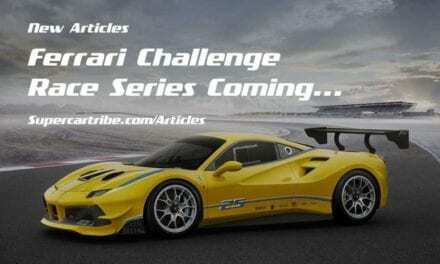 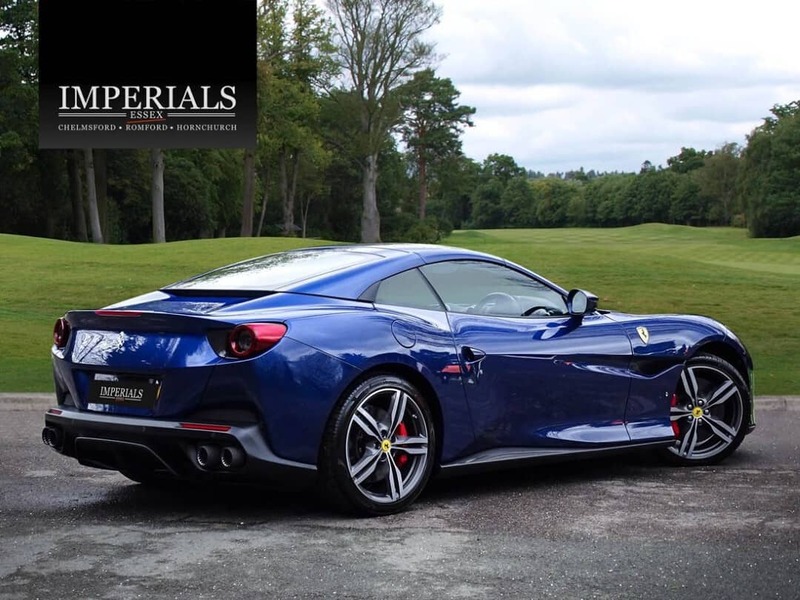 Obviously, it’s not the fastest or most prestigious Ferrari model, but it could easily hold its own against just about any grand tourer the Italian supercar company has ever made. 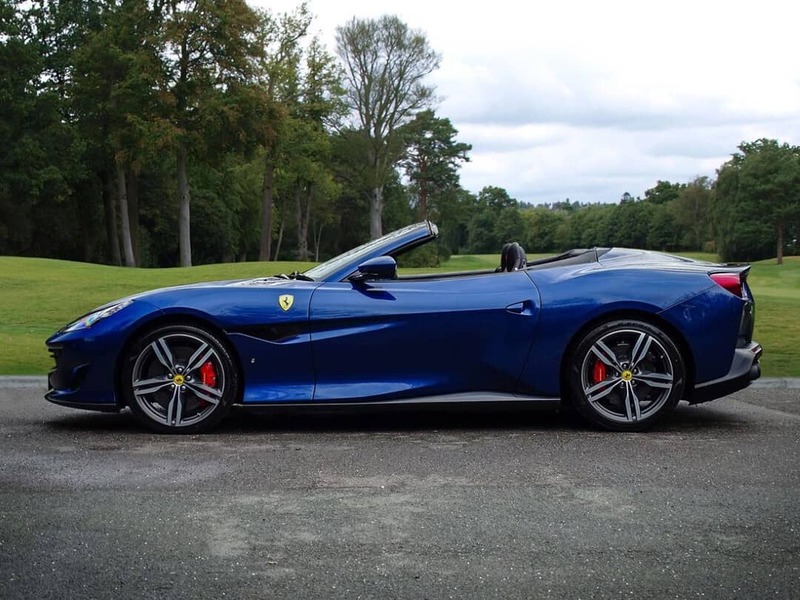 Add in the wonderful new styling, and it’s obvious why this baby Ferrari is still all the car anyone could really ask for. 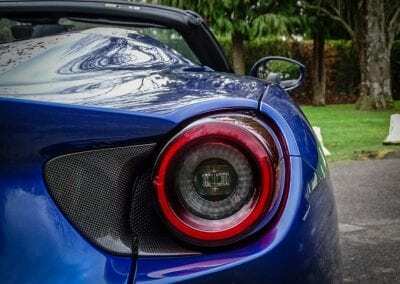 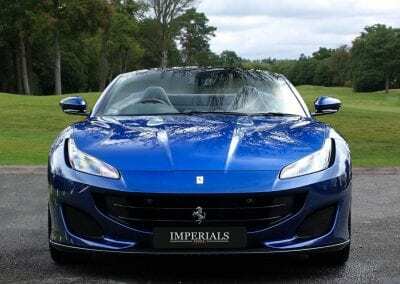 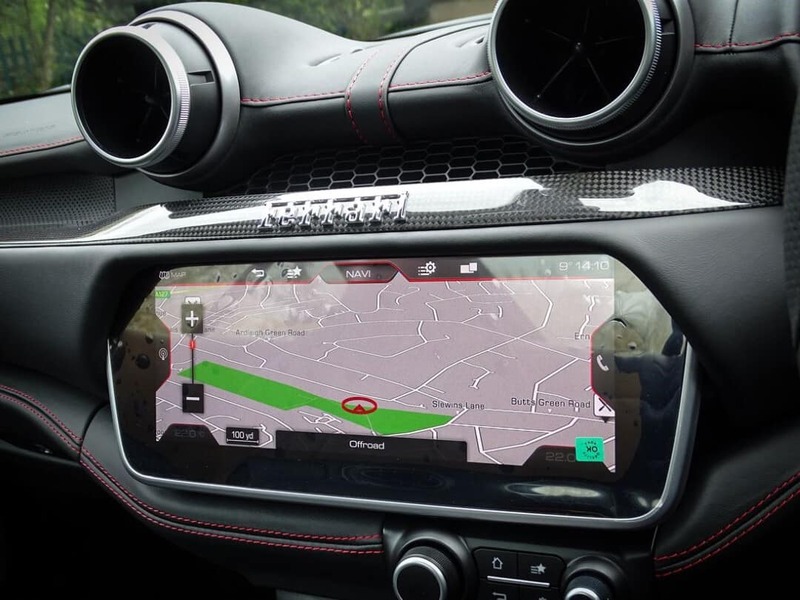 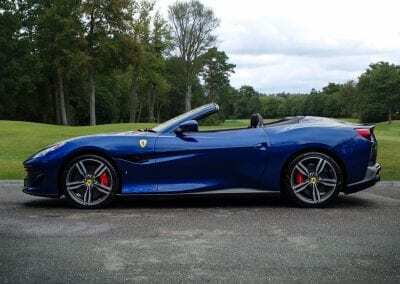 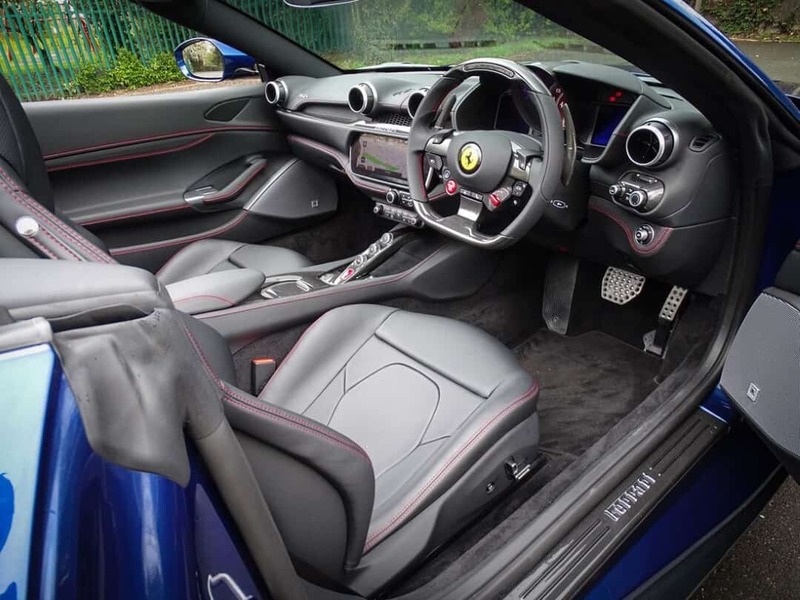 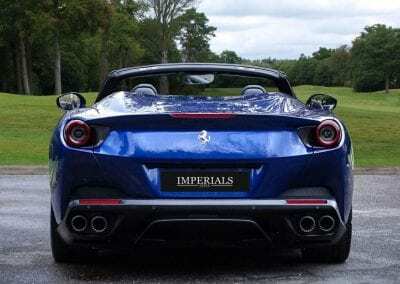 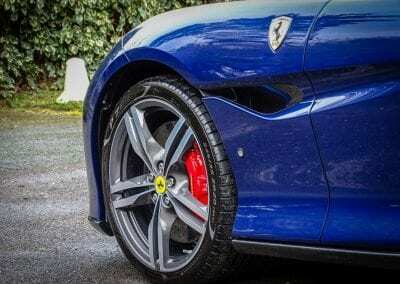 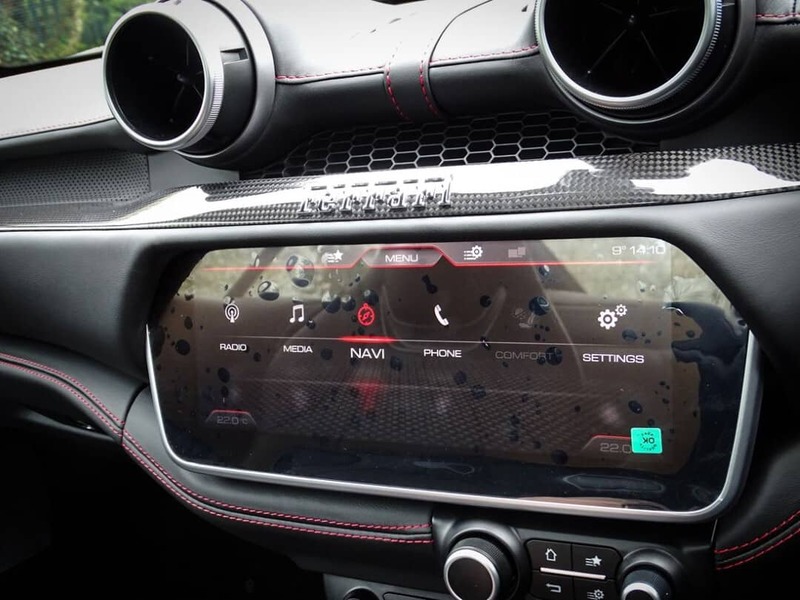 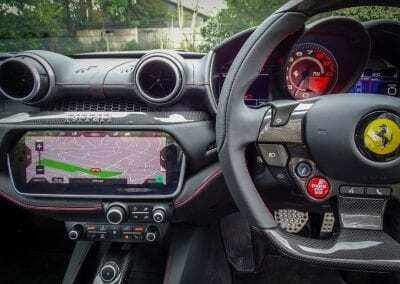 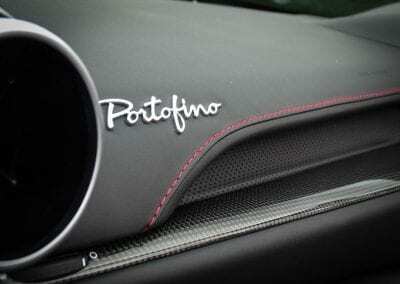 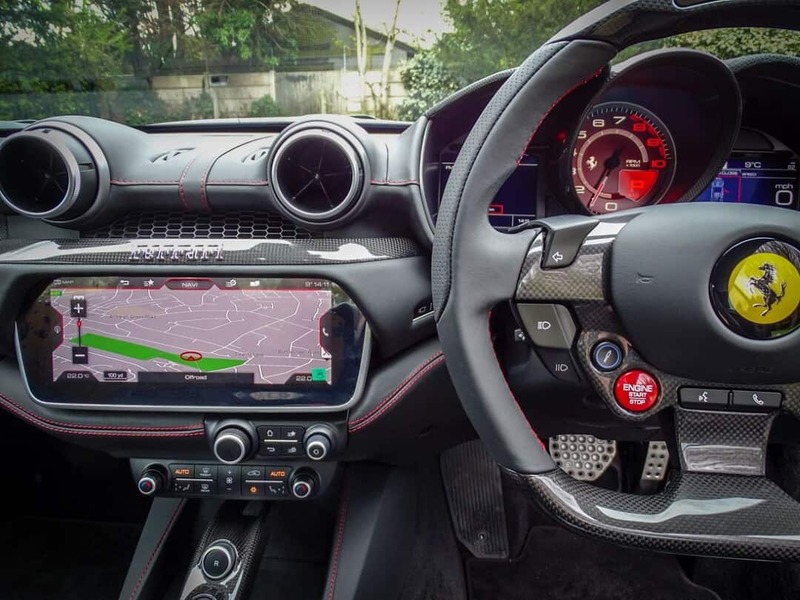 Stylistically, the Portofino was clearly influenced by its big brother, the 812 Superfast, as both cars have similar snarling grins and folding hard-top arrangements. 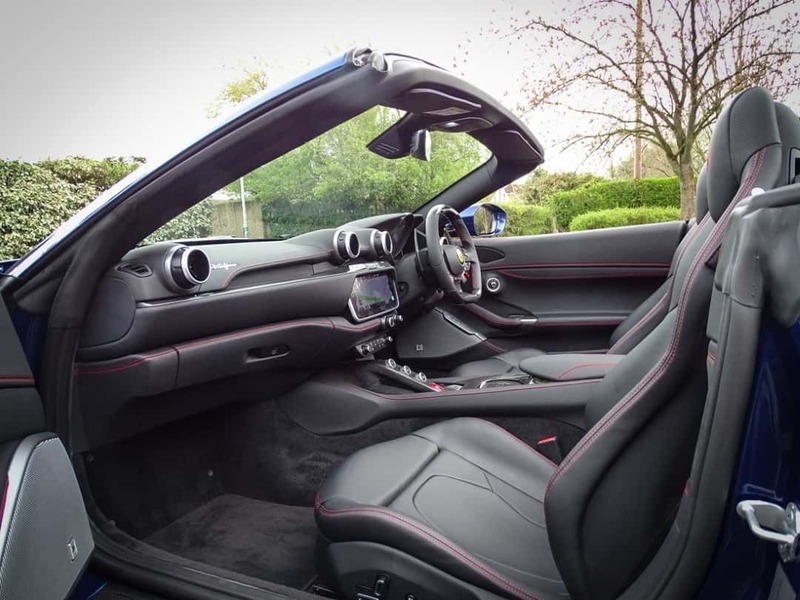 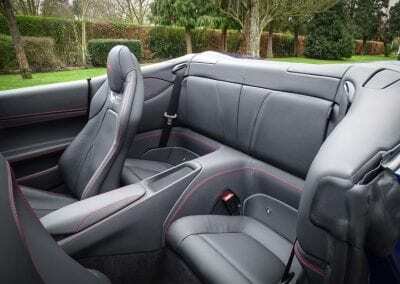 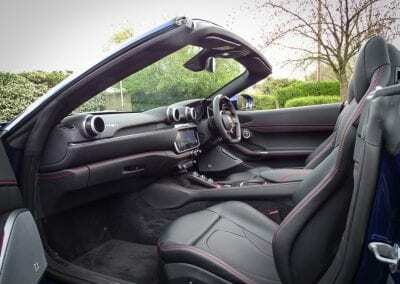 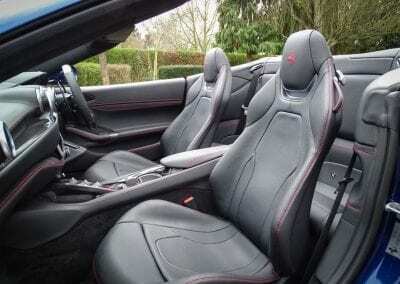 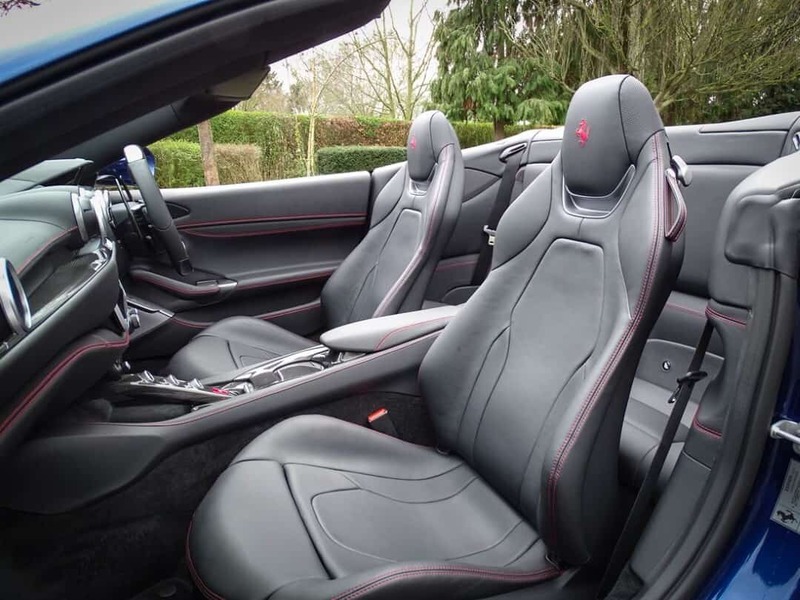 Power, meanwhile, is provided to the hard-top convertible via the same twin-turbocharged 3.9-litre V8 used in the California T. The engine has been tweaked to produce 592 bhp in this application, however; about 40 more than in the old model. 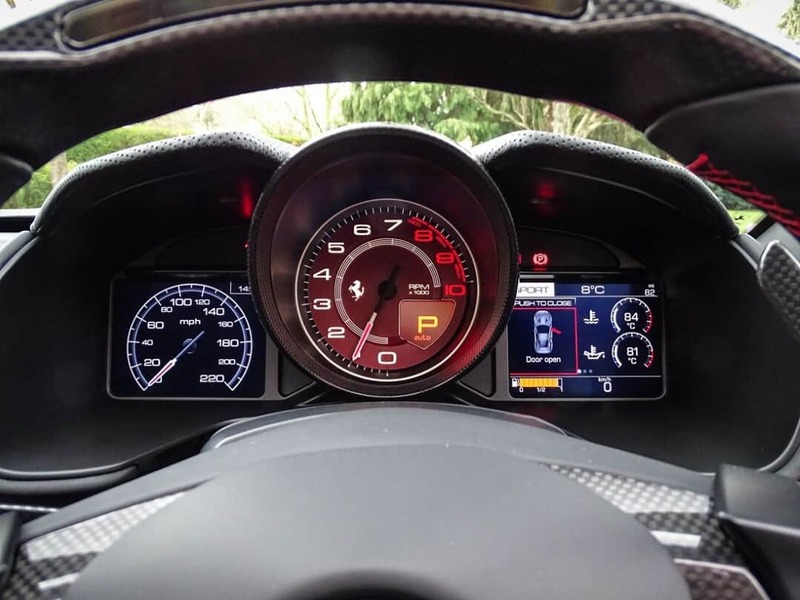 Expect 62 mph to arrive in a rather brisk 3.5 seconds as the car continues to accelerate all the way up to 199 mph. 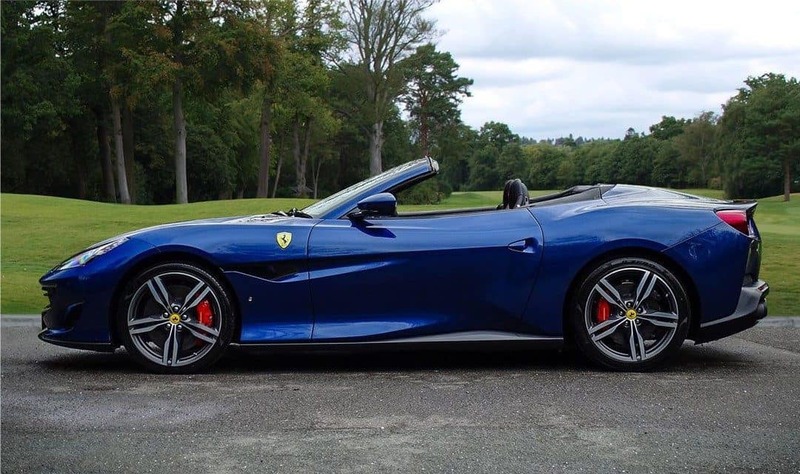 Ferrari claim that the new Portofino weighs a substantial amount less than the California T, although they have not divulged exactly how much lighter the new car is. 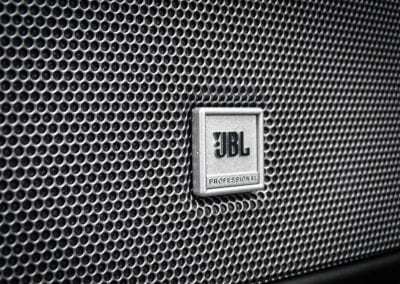 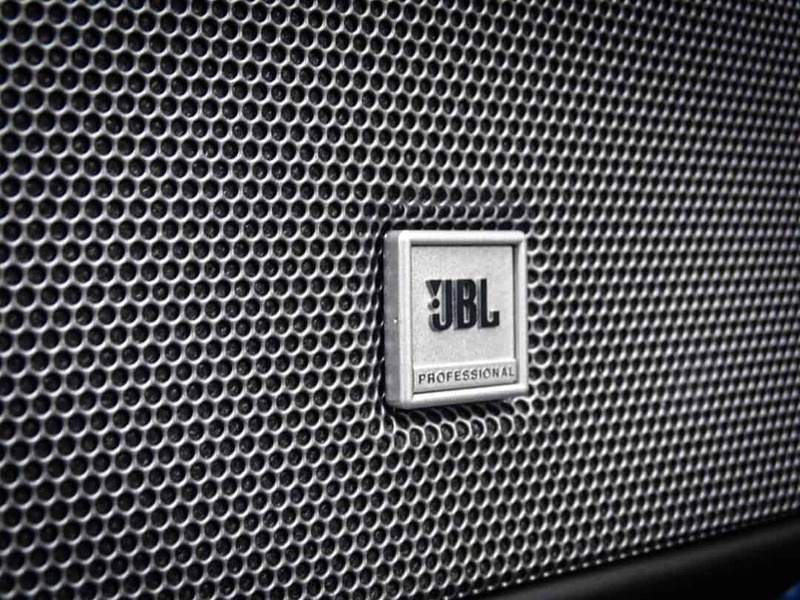 The increased power and reduced weight combined with an all-new chassis with greater rigidity promises to give the new model more electrifying performance than the old car. 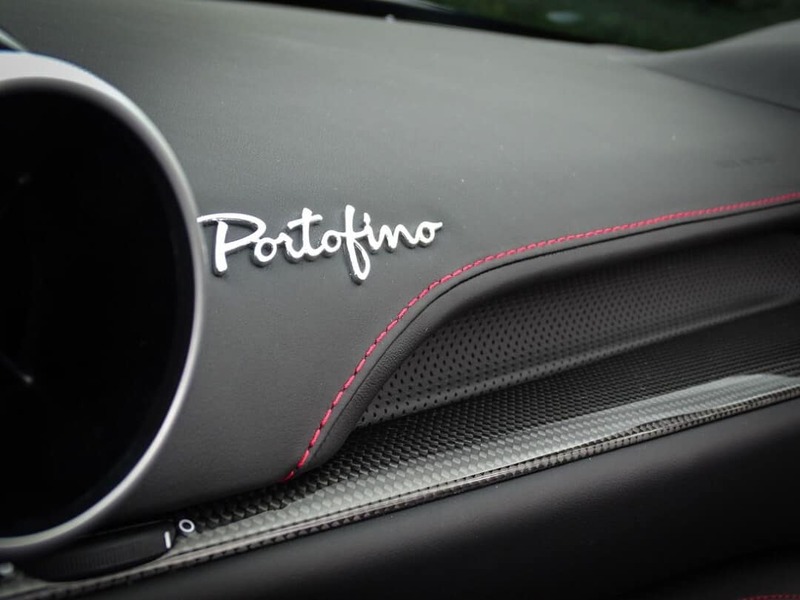 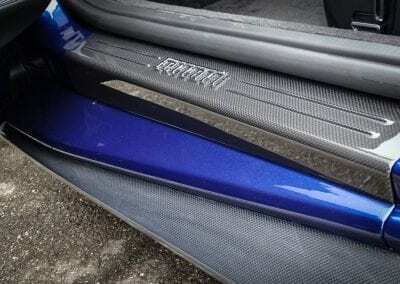 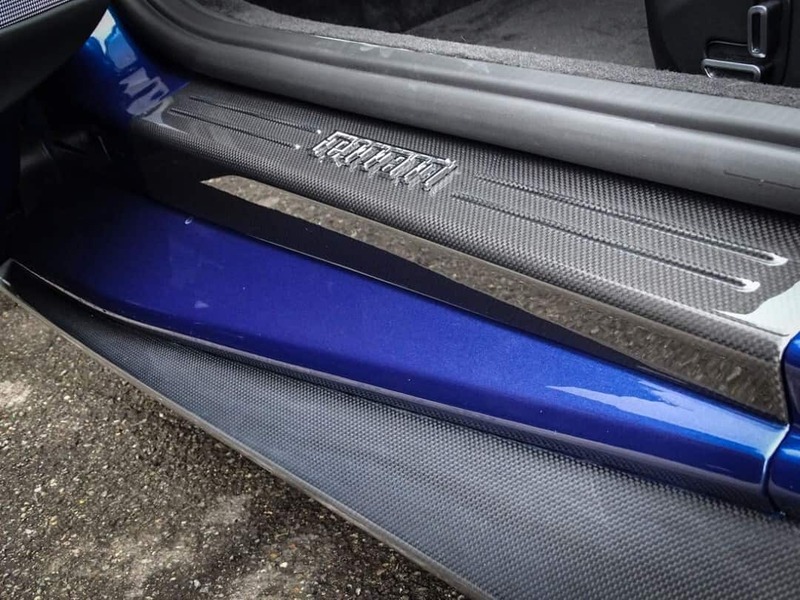 Carbon Fibre Driving Zone with LEDs, Carbon Fibre Dash Inserts, Carbon Fibre Front Airvents, Carbon Fibre Front Spoiler, Carbon Fibre Rear Air Ducts, Carbon Fibre Under Door Cover, Carbon Fibre Exterior Sill Kick Plate, Carbon Fibre Central Bridge, Carbon Fibre Cup Holder, Apple Car Play, Sat Nav, Rear View Camera, Climate Control, Electric Seats with Rosso Embroidered Prancing Horse on H/Rests, Rosso Contrast Stitching, Scuderia Ferrari Shields, High Power HiFi, Park Distance Control, Magneride Dual Mode Suspension, High Emotion Low Emission, Black Ceramic Exhaust Pipes, Red Rev Counter, Rosso Corsa Calipers and 20″ Forged Diamond Cut Alloys. I just love the exterior colour on this car. 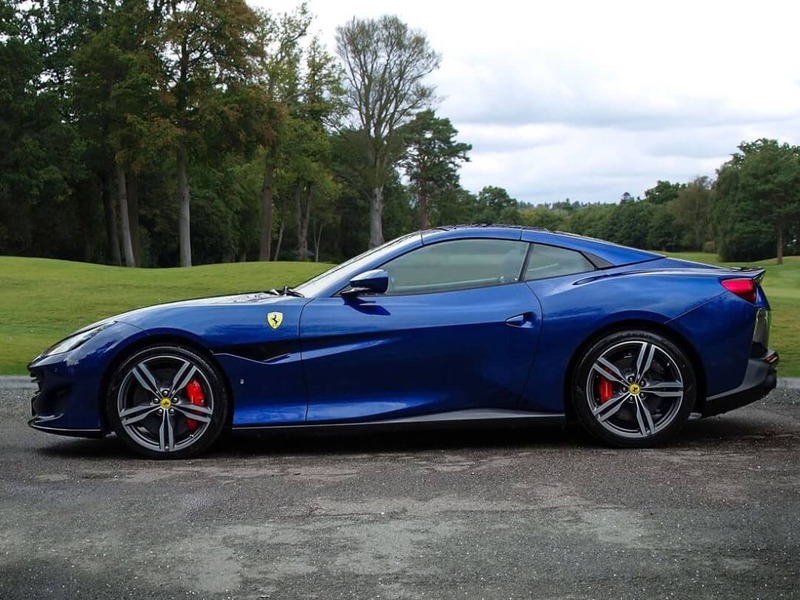 Sure, it looks good in red, but we are bound to see tons of red Portofinos out there, so let’s appreciate this car in some other hues when we can. 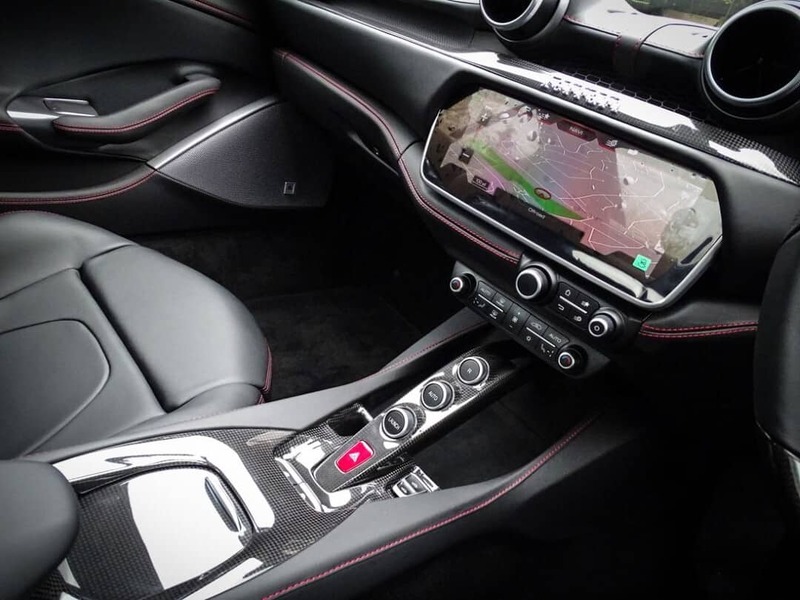 Listed at £211,948, this brand-new 2019 Portofino has just 100 miles under its belt. 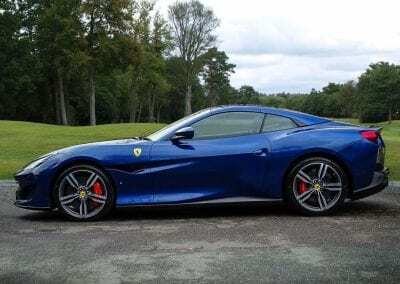 So, if you are still deciding whether to make the Ferrari plunge, do yourself a favour and test drive this car or any Portofino near you. 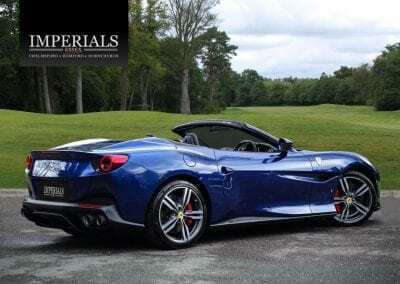 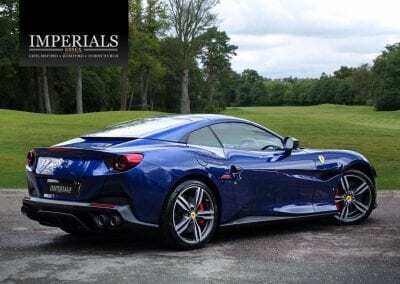 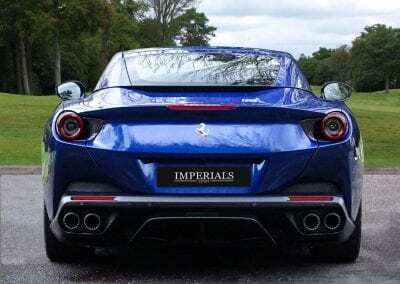 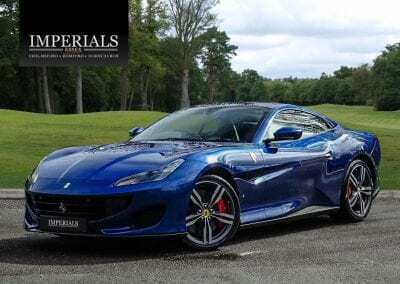 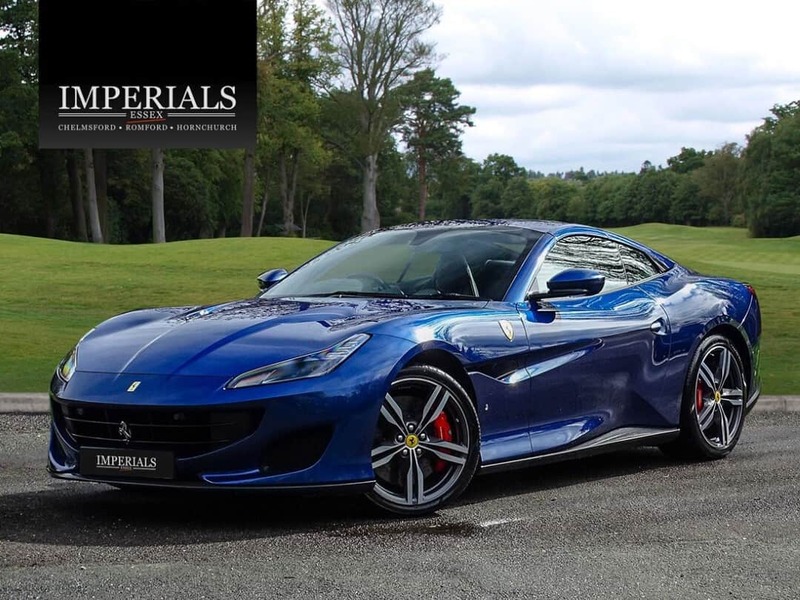 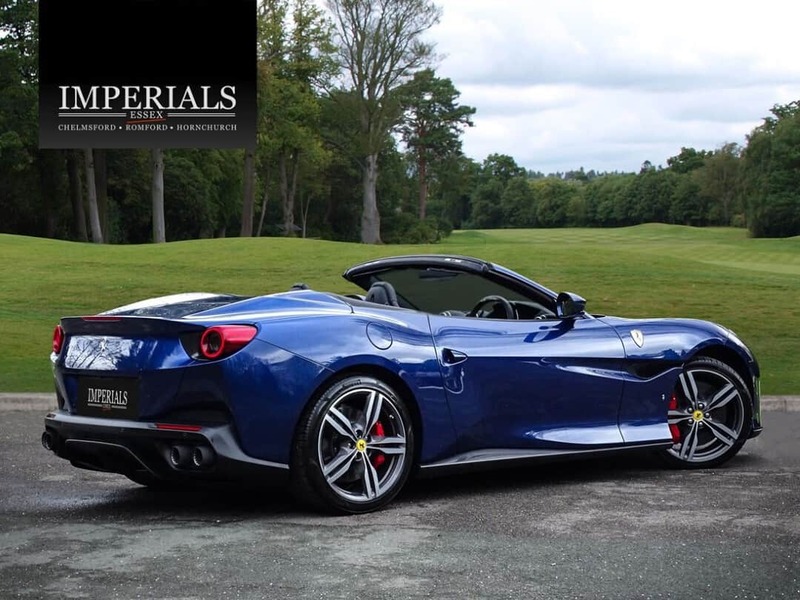 This car is available at: Imperials Essex.